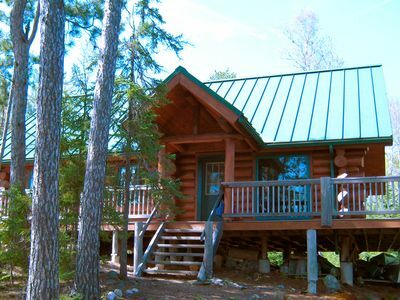 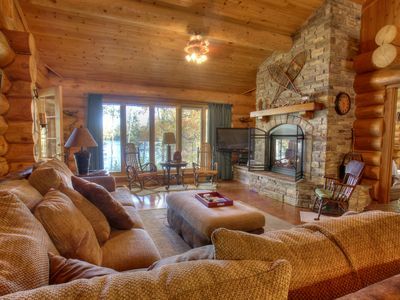 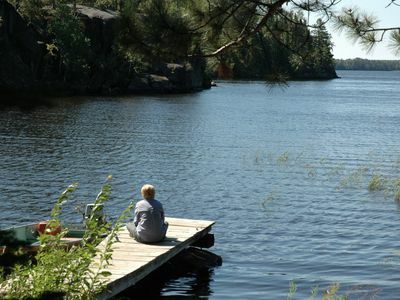 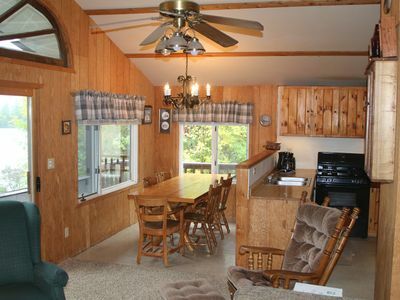 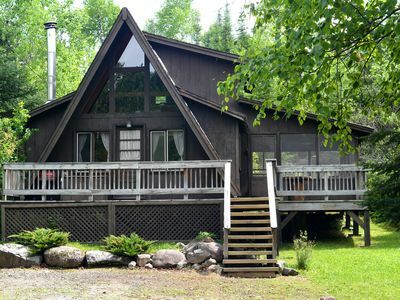 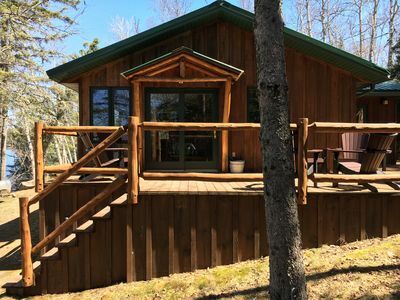 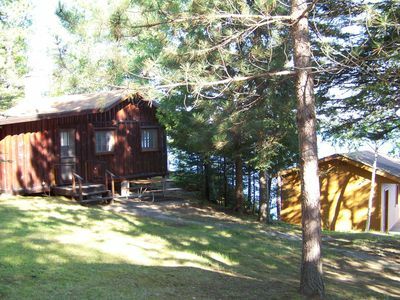 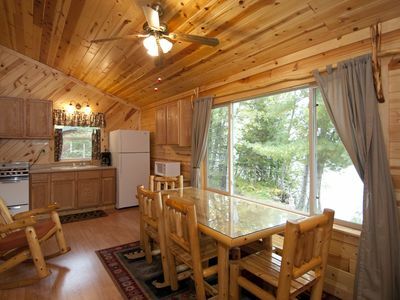 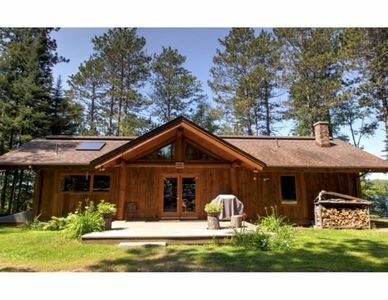 This large cabin is situated on Moose Lake, just above our main landing at Vosburgh's Custom Cabin Rentals. 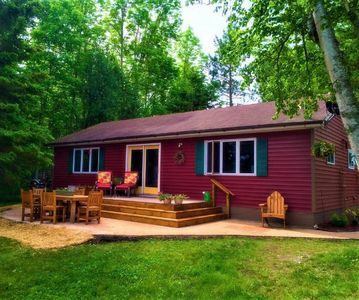 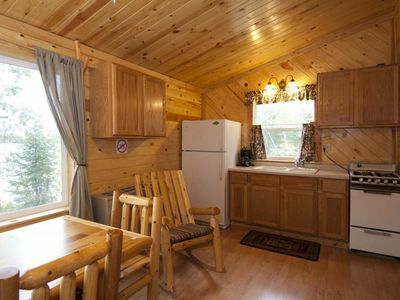 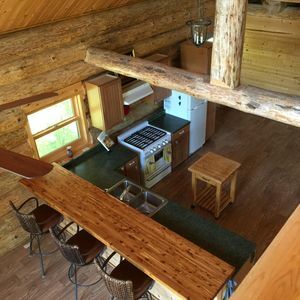 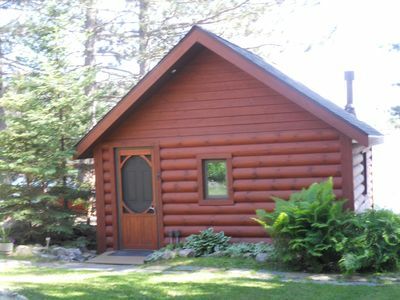 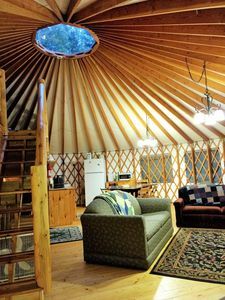 Featuring twenty foot vaulted ceilings, a free standing fireplace, large living room/kitchen, 1 1/2 baths, this cabin is great for large groups, especially when rented in conjunction with the adjacent cabin that sleeps a maximum of 6 people. 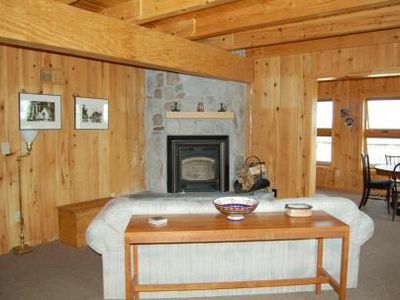 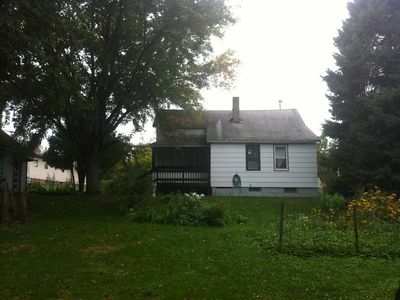 Two closed bedrooms downstairs each with a queen bed; split loft upstairs with three single beds on each side. 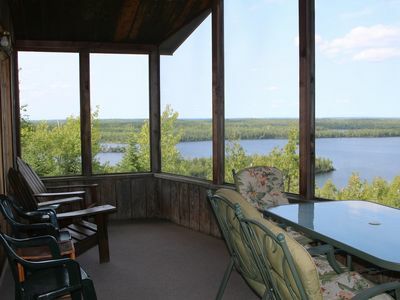 Screened porch offers a great view of the lake and sunset. 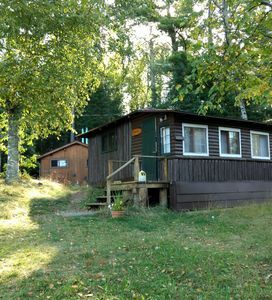 Cabin is available May through October. 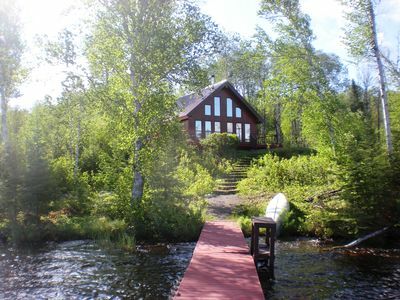 Lake side cabin & sauna on pristine Burntside Lake! 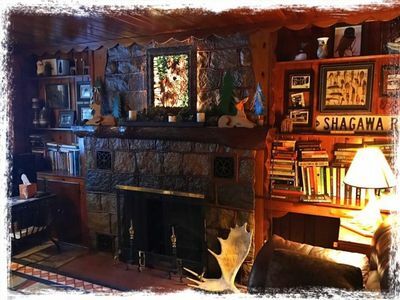 Come & enjoy the senerity! 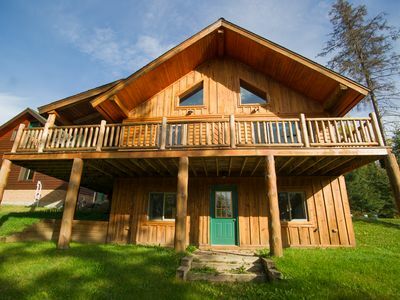 Magical Get Away Nestled Right IN TOWN!